Our Florida online Responsible Vendor Program training course meets the requirements set by the Responsible Vendor Act and the Florida Dept. of Business and Professional Regulation. Our Florida online Responsible Vendor Program is based on Florida's Responsible Vendor Act, FL Statutes 561.702-706. It's goal is to reduce the sale of alcohol to underage patrons, alcohol related accidents, injuries and deaths. And to help to eliminate illegal drugs on licensed premises. Alcohol abuse can have a devastating effect to the public, your business, and employees. Serving responsibly produces safer roads and neighborhoods and a more profitable business. Florida legislature has established a voluntary Responsible Vendor Training. This is for the businesses who Sell, Serve, and manage alcohol serving establishments. By meeting Florida Responsible Vendor Training requirements, the business ensures that its staff is thoroughly trained to deal with any situation that may come their way. Some of the benefits of taking this program are, immunity from suspension or revocation of the alcohol license for certain violations, mitigation/ reduction of fines and penalties for certain alcohol violations, affirmative defense in the event of an alcohol related lawsuit, decreased overall risk of a violation or lawsuit, reduces insurance premiums, and promoting a positive public image. 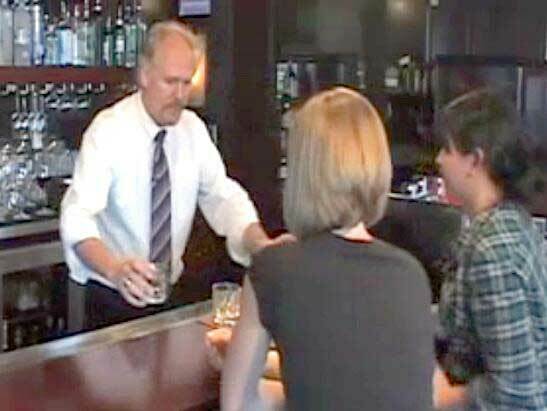 People think getting hired as an alcohol server is easy. But it can be a complicated process. Selling and serving alcohol is dangerous when the staff is not properly trained. Over serving your customers or serving to a minor could result in many different penalties. Why take our Florida RVP online server program?